Spain seems to be on the tip of every tongue these days. One reason is the country's great food, which ranges from regionally diverse traditional fare to some of the most innovative cooking in the world. Food plays an integral part in all of our Spain tours, and we asked Mireia, one of our food guides in Spain, what she thinks makes the country a great foodie destination. Q: How does Spanish food reflect the country's history and culture? A: Spanish cuisine is a melting pot of cultures...Phoenicians gave us sauces, spices and the Sherry grape, Romans began the production of olive oil, Moors brought pomegranates and pesto, North African Jews brought cooking with nuts, Arabs started rice cultivation and planted new types of fruit trees, such as oranges, lemon, plums and almonds. Navigators sailing to the Americas brought us new treasures such as potatoes, tomatoes, cacao, peppers and corn. Q: Spanish olives, Iberian ham, manchego cheese and Rioja wine are famous worldwide. Which Spanish culinary specialties are less famous abroad that you think travelers to Spain shouldn't miss? Q: What dining experiences do you introduce to travelers during touring that they wouldn't likely experience on their own? Trying tapas is the best way to dip into the many tastes of Spain and to get immersed in the real life of Spaniards—snacking and drinking from one bar to another, trying the specialties of each. However, visitors have a hard time knowing which areas are best for tapas. Q: Why do you think Spain is growing as a culinary destination? A: Spanish cuisine is healthy, flavorful, delicious, rich, varied, and based on fresh, natural and high-quality products. Traditional cooking has been able to evolve in the hands of a new generation of cooks towards a new top-quality, highly varied cuisine in which traditional values blend with more universal culinary trends. World-renowned chefs such us Ferran Adria, Juan Mari Arzak and Sergi Arola have boosted Spain's culinary prestige to the top of the list in the world. 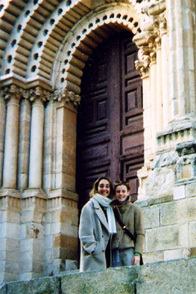 Artisans of Leisure can arrange culinary tours of any length and in any part of Spain. Contact us for more information. When spring blossoms, so does love. Why not celebrate your affection with a romantic tour? Each tour in our "Romantic" series has been carefully designed to include the most romantic hotels and resorts in the world, private touring of cultural and scenic highlights, and ample leisure time to enjoy spa treatments, private beaches and candlelit meals. Honeymooners swoon over these luxurious tours (most also sign up for our popular Honeymoon Registry). But you don't have to be newlyweds to enjoy them. These tours are also perfect for celebrating anniversaries, birthdays and other special events. Of course, true love knows neither occasion nor season, and these tours make ideal getaways any time of the year. Perennial favorites include Romantic Italy, Romantic Thailand and Romantic Vietnam. But our newest tour in the series, Romantic Morocco, may prove to be our most seductive yet. China remains one of our most popular destinations. We return regularly to keep up with rapid developments so we can offer our travelers the most interesting, enjoyable and exclusive experiences available. New activities on our China tours include cooking classes, shopping for contemporary art in up-and-coming gallery districts in Shanghai and Beijing, and touring Hong Kong with an architecture expert. On one recent trip to China, we inspected the much-anticipated Four Seasons Hong Kong. It has an ideal location for travelers who want to be in the heart of the city's bustling Central district. It also has the best infinity-edge pool in town. Across Victoria Harbor, we still cherish The Peninsula, an elegant reminder of the city's British heritage. 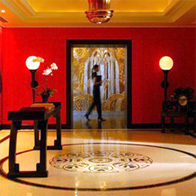 For leisure travelers, it remains unrivalled for its luxury, atmosphere, service and variety of excellent restaurants. We dined at many new restaurants in Shanghai and Beijing—we've added many to the extensive restaurant lists our travelers receive before departure—and explored exciting new shopping and art districts in both cities. Inspired by our trip, we've created the ultimate lifestyle tour of China—Three Cities: Shanghai, Beijing, Hong Kong. This 11-day private tour includes the very best of each city. Our travelers stay in carefully selected, excellent room categories in the finest hotels, tour the cultural highlights with a private guide and driver, have reservations arranged for them at top restaurants and private clubs, and enjoy activities customized to their interests. Want access to some of Southeast Asia's most enchanting experiences? 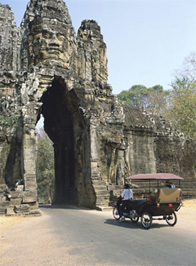 Our new 15-day Journey Through Indochina tour is just the ticket. This ultimate luxury tour through Laos, Cambodia and Vietnam features the scenic and cultural highlights of these three countries, plus top rooms at the best hotels and unique activities available nowhere else. 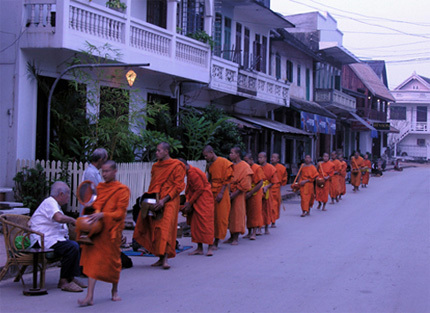 Avoid the crowds at the temples of Angkor, spend a night aboard a luxurious boat in beautiful Halong Bay, visit with a fascinating local historian in Hanoi, meet silk weavers in Luang Prabang, have lunch at a Buddhist temple in Vietnam, participate in traditional ceremonies, and much more on this private tour. 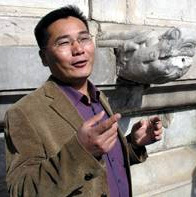 Our expertise and excellent network throughout the region allow us to offer myriad other activities, depending on your interests, such as riding bikes to remote temples, visiting an orphanage, having a cocktail party in an art gallery, enjoying a cooking class in a private home, and visiting artist studios. Kikuryu-san, Fukunami-san and Miyoharu-san bundle up before leaving our office. "These three geisha walk into an office..."
It sounds like the setup for a joke, but it really happened to us! A delegation from Kyoto, Japan, recently visited our New York office, accompanied by one geiko-san (the Kyoto term for geisha) and two maiko-san (apprentice geisha). 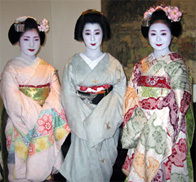 We've been to Kyoto many times, but this was the first time for us to interview a geisha, let alone three. All came from Miyagawacho, one of Kyoto's five geisha districts, and all were stunning in their white makeup, plum blossom hair decorations and colorful, layered kimono. Kikuryu-san, the geiko, spoke for the group and answered our questions in perfect English. These days, she told us, young women "choose to become geiko." Around 60 girls from across Japan begin their training each year. After finishing junior high school, they leave their family homes, move into an okiya (geisha house) and attend a school of traditional Japanese arts to learn singing, dancing and playing shamisen and other instruments. Maiko, aged 15-20, wear the longest, most elaborate kimono and their hair is shaped into perfect forms adorned with flowers, combs and shiny ornaments. Fukunami-san and Miyoharu-san, the two maiko who visited us, brought special pillows from Japan so that they won't crush their hair while they sleep. Maiko become geiko around the age of 21. Geiko wear kimono with shorter sleeves and more subdued colors, and they can wear a wig rather than using their natural hair. Kikuryu-san explained that a geiko has no age limit, "as long as she can still walk, sing and dance." However, if they choose to marry, they must retire. Kikuryu-san became a geiko quite late, surprising her friends when she chose to begin her new career after graduating from college, where she studied psychology and Japanese dance. Now, she spends her days like most of her fellow maiko and geiko. In the daytime, she practices traditional music, dance and tea ceremony. Around 6pm, she puts on her makeup and kimono, then makes her rounds to teahouses where she serves tea, plays games, and "enjoys eating, drinking and having fun." What did they think of the film "Memoirs of a Geisha" (known as "Sayuri" in Japan)? It was "not really accurate," Kikuryu-san said, as there is no longer the danna (patron) system of sponsorship (a key plot point of the film). But, she acknowledged that the film did give "an impression" of what her world is like. The three of them were gone before we knew it, shuffling out of our office and up Fifth Avenue. They left us their calling cards, slim stickers on washi (Japanese paper) imprinted with just their names and Miyagawacho, their district. "Keep this in your wallet," Kikuryu-san told us, "it will bring you good luck." For us, that would be to see them again—in Kyoto. 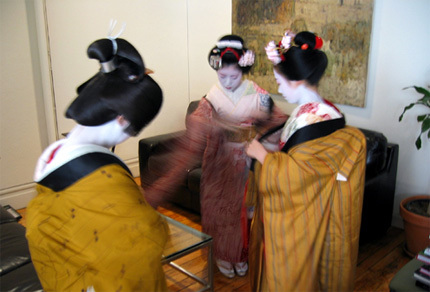 As one of the many special experiences on our exclusive Japan tours, Artisans of Leisure can arrange for travelers to see a geiko or maiko perform at a traditional teahouse in Kyoto or during an elaborate kaiseki dinner. Fukunami-san, Kikuryu-san and Miyoharu-san in our office.